As part of our digital badge education series leading up to the ACTFL 2013 Convention, we’d like you to hear from teachers, administrators and other foreign language professionals about why badges matter. Badge issuers include universities, professional organizations and language resource centers. Badge earners can display these digital representations of professional development on personal websites, Facebook pages or wikispaces. Visit openbadges.org to learn how to display your digital badges online. Viewers (e.g. peers, employers) who click on the digital badge can see important information, including the badge issuer and a course description. Viewers also see what the badge represents, including achievements, skills, competencies, community involvement, CPE credits earned, evidence for formal or informal learning, links to portfolio work and other details reflecting the merit of the badge. See the newsletter for the full text. 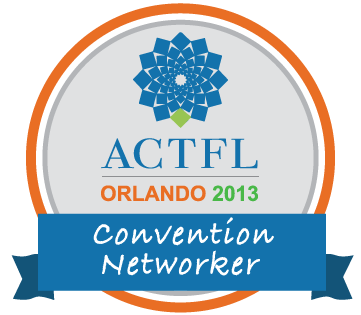 ACTFL 2013 attendees can go to actflbadges.org to earn a Convention Networker badge today! 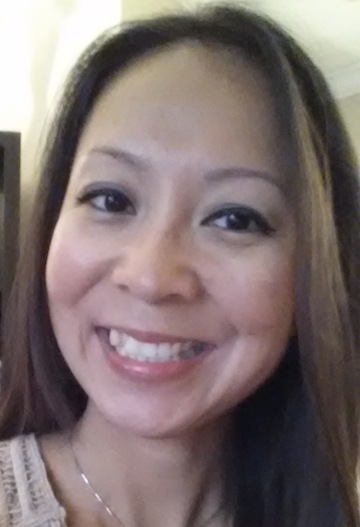 Connect with Tina Dong and other language professionals in the network. COERLL and ACTFL have partnered together to develop this badge to showcase your efforts in connecting and networking with other convention attendees — f2f and through social media. Why is this important? Digital badges are fast becoming the means of showcasing professional experience and knowledge. See COERLL’s Fall 2013 newsletter for the full text. Then visit www.actflbadges.org to sign up and find out what you need to do to earn your ACTFL 2013 digital badge. Leading up to the convention, stay tuned to learn more about the potential of digital badges for foreign language professionals. 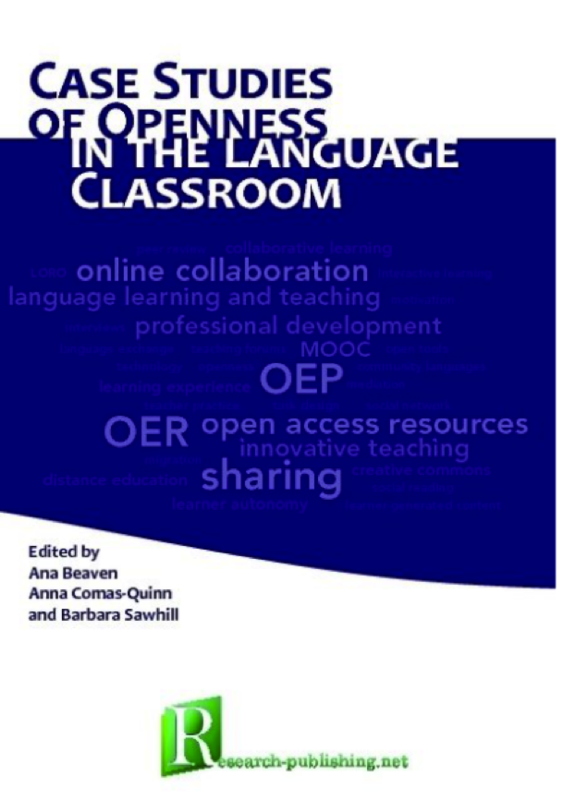 From the editor: On this European Day of Languages, we are happy to announce the publication of Case Studies of Openness in the Language Classroom, co-edited by Open Up contributors Barbara Sawhill and Ana Beaven, with third co-editor Anna Comas-Quinn (The Open University, UK). The book itself is an open resource and available for free download. 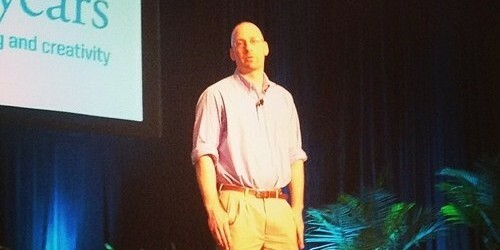 COERLL Director Carl Blyth contributes a case study on eComma, an open application for social reading. And frequent Open Up contributor Todd Bryant presents a chapter on his free language exchange website, The Mixxer. Please see the press release below for more details. Case Studies of Openness in the Language Classroom is a compilation of case studies written by practitioners in different educational settings who are exploring the concept of openness in language teaching and learning. The idea for this volume emerged during the conference “Learning through Sharing: Open Resources, Open Practices, Open Communication,” organised by the EUROCALL Teacher Education and Computer Mediated Communication (CMC) Special Interest Groups at the University of Bologna (Italy) in March 2012. “We felt that there was a real need to make visible the work that individuals across the globe are doing in this area,” said Ana Beaven, co-editor. “It was important to provide an open way to share those practices with others. The book is structured in five sections, covering open tools for collaboration, sharing resources, sharing practices, collaborative learning and student-generated content, and learner autonomy. “We hope it will provide ideas for language teachers who might want to dip their toes into the world of Open Educational Resources (OER) and Open Educational Practices (OEP), or maybe experiment further,” commented Anna Comas-Quinn, co-editor. Download the book free of charge. In October 2013, the publication will available on Google Books full view. You can also purchase a Kindle edition from Amazon, and as a black and white paperback from Lulu (with 20% discount) or from Amazon (starting in October). Susanne Winchester (The Open University, UK). Open Up will be taking a short break, but you can expect to hear about exciting events and new OER offerings from us in the fall. This year, our focus will be on the progress of digital badges for alternative credentials in foreign language education. We’ll be creating a badge opportunity for you at this year’s ACTFL conference, so be sure to participate and see how you can get involved in this growing movement. From the editor: We’re happy to repost this entry with permission from Barbara Sawhill. You can catch more of her thoughts at Language Lab Unleashed. We welcome Barbara to our community of language educators for the progress of OER. I’m a big fan of the creative work that happens at the Division of Teaching and Learning Technologies (DTLT) at The University of Mary Washington. Digital Storytelling 106 (ds106) is one of the many creative ideas that DTLT has spawned, and it certainly has a presence on the web. I have been watching ds106 (and I have sometimes participated, because that is what you are expected to do) and also wondering what ds106 – a course about using media in a creative way for digital storytelling — could teach those of us who are interested in using media in a creative way for language learning. To be clear: I am not looking for new shiny tools or cool apps. What I am looking for is creative and fun ways for students to speak, listen, write and read in a second language. I am thinking about fun tasks to develop language skills. And I want to integrate free, open, available tools and objects into exercises for developing languages. And then I want to share them with everybody. So here is my idea: What about an open assignment bank for LANGUAGES? I know what you are thinking, jeeez louise aren’t there enough of those out there already? True, yes there are, but many of them are tied to specific textbooks, courses and lesson plans. I’m thinking more broadly, more generally. And yes, more open-ly. Like ds106, I want to make it possible for anyone to suggest an assignment and for everyone to try them out. And, rather than re-inventing the wheel, maybe there are ds106 assignments that are already in the hopper could be stolen liberated repurposed for language learning. I’m pretty sure the DTLT folks are into sharing, and wouldn’t mind seeing that happen. So here we go. Here’s a start. Here is a link to a rudimentarygoogle form where you can add ideas to a language assignment bank. Please add something, please share it with others. Please think about ways to incorporate existing open resources into the mix. Ready? Let’s see what we can create together. Barbara Sawhill has been working for a small liberal arts college in the cornfields of Ohio for about 15 years. In addition to teaching Spanish she runs a somewhat unconventional language center. Prior to this adventure in higher ed she taught high school Spanish and loved it. She wishes she had more time in her life to write, read, swim, and watch the Red Sox. And sometimes she blogs over here and here as well. Ann Mar, a high school AP Spanish teacher from San Antonio, told us that she had recently become aware of COERLL’s SpinTX Video Archive. She was excited to discover that it closely aligns with the new AP Spanish curriculum scheduled to begin this fall. The AP Spanish Language and Culture Course is a national curriculum set by the College Board. Ann told us that there are 6 themes within the new curriculum that match up well with the themes in the SpinTX videos ( e.g. “Personal and Public Identities”, “Families and Communities”, “Contemporary Life”). Ann has already posted a link to SpinTX in the AP teacher community forum. She will also be running a summer institute for AP Spanish teachers at UT Austin later in July. Finally, she is interested in having her high school students in San Antonio collect videos using our protocols, with the idea that we could use them as part of the corpus if they turn out well. So, it looks like COERLL will definitely be exploring how to connect our video archive to the AP Spanish curriculum with Ann’s help. Thanks, Ann! Another terrific idea came from Dr. Margo Milleret from the Portuguese program at the University of New Mexico. Margo suggested that COERLL consider developing badges aimed at middle or high school students based on our introductory LCTL resources. 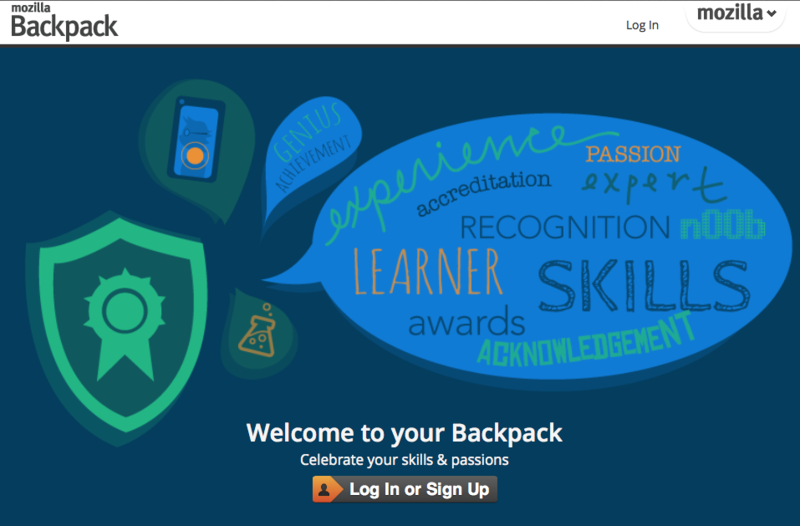 Badges are a way to recognize and verify online learning. The goal would be to expose students to languages that aren’t normally offered in high schools (such as Portuguese), so that when the students go to college, they would be more likely to study a LCTL. She noted that while she doesn’t have the resources to do something like this herself, she would really like to collaborate with a center like COERLL and other K-12 teachers to make it happen. Margo’s great idea combines various elements of COERLL’s mission: K-12, LCTLs, and Open Education. And finally, another good idea came from ACTFL president Toni Theisen. Toni was chatting with us at the COERLL booth about the tremendous potential of badges for teacher development. She wondered whether COERLL could help ACTFL award attendees of this year’s convention in Orlando with a participation badge. Great idea, Toni! 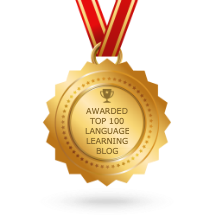 That would certainly help bring badges to the attention of the foreign language teaching community. Let’s work on this … together. Open Education is fundamentally about sharing. So a big “Thank You” to all the teachers who shared their ideas with us at AATSP.